I must admit I wasn't very fussed on this album but when compiling tracks for this playlist I found that it was a great Pop Rock album. I eventually found more than the famous "Apollo 9" "rockers in space" track and the anthemic "Vive Le Rock". Both had to be on the list but I found more. The big and bouncy Doors' like "Miss Thing", the chug-a-chug 60s style of "Razor Keen" and the Billy Idol style of "Rip Down". Also here are the mysterious, atmospheric "Scorpio Rising" and the quirky Rock of "Hell's Eight Acres". Completing the tracks is the almost Acoustic jam of "No Zap". 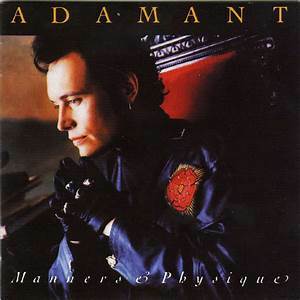 1990's "comeback" album "Manners & Physique" came as a shock to Antfans with its superb production and electronic and funky dance elements. With the help of Andre Cymone, one of Prince's Minneapolis buddies it was a great album in my opinion. I absolutely loved "Room At The Top", it was funky and Adam's voice sounded better than ever. "Rough Stuff" was pure Electronic Dance Pop, it grew on me eventually. The tracks "If You Keep On" and the title track could have easily been included on "Strip", great songs. "Can't Set Rule About Love" was his best ballad to date (before "Wonderful" came), a really nice love song. 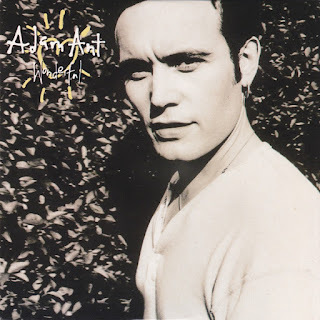 "Piccadilly", "Anger Inc." and the brilliant almost Punk Pop of "Young, Dumb And Full Of It" complete this album's contribution. 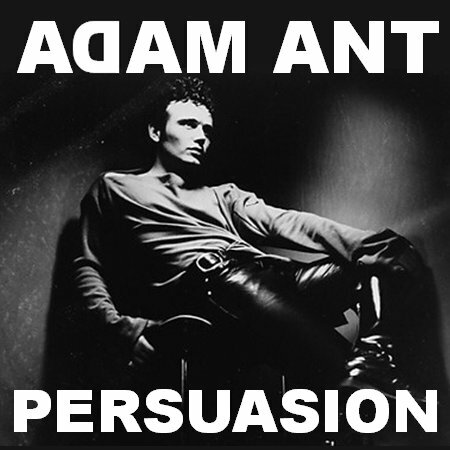 The planned 1992 release of "Persuasion" was never released for whatever mysterious reasons. However, copies have been found in various places. I was lucky to find one and the lead track "Persuasion" is included in my playlist. The album is like a rockier version of "Manners & Physique" and was obviously the way forward to the 1995 album, "Wonderful". The album is ok but the tracks haven't quite grown on me as much as the others on this playlist, hence the one track. A compilation yes, but also the first time the 1978 Decca debut single "Young Parisians" appeared on an album. I added this to the playlist, it is a pity that the B-side "Lady" has never appeared on CD but maybe one day I can add that as well if that ever happens. 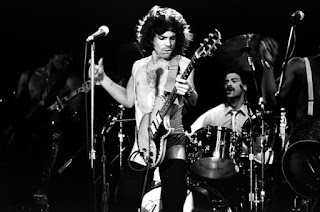 The early singles, the frenetic "Zeroz" and second re-working of "Cartrouble" were certainties here. Also, the single version of "Antrap" which is far superior than the version on "Prince Charming" with the memorable chorus. 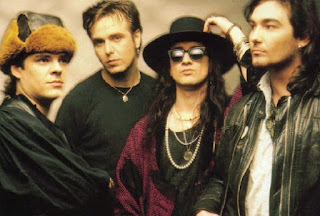 The "name dropping" stars past and present in the quirky "Friends" and the barnstorming monster that is "Kick" from the B-side of the "Cartrouble" single is included. "Deutscher Girls" is also here, the track from the "Jubilee" soundtrack. Another compilation arrived in 1994, "B-Side Babies" incorporated a load of great Ant B-Side tracks that fans love. The majestic Punk Pop of "Fall In" and "Beat My Guest" are just classic Ant music. The rocky re-workings of old Ant tracks such as "Greta X" and two of my favourites "B-Side Baby" and "Christian D'Or" are just superb. The two flipsides of the "Strip" singles may divide opinion here but I really like them, "Kiss The Drummer" and "Yours Yours Yours". 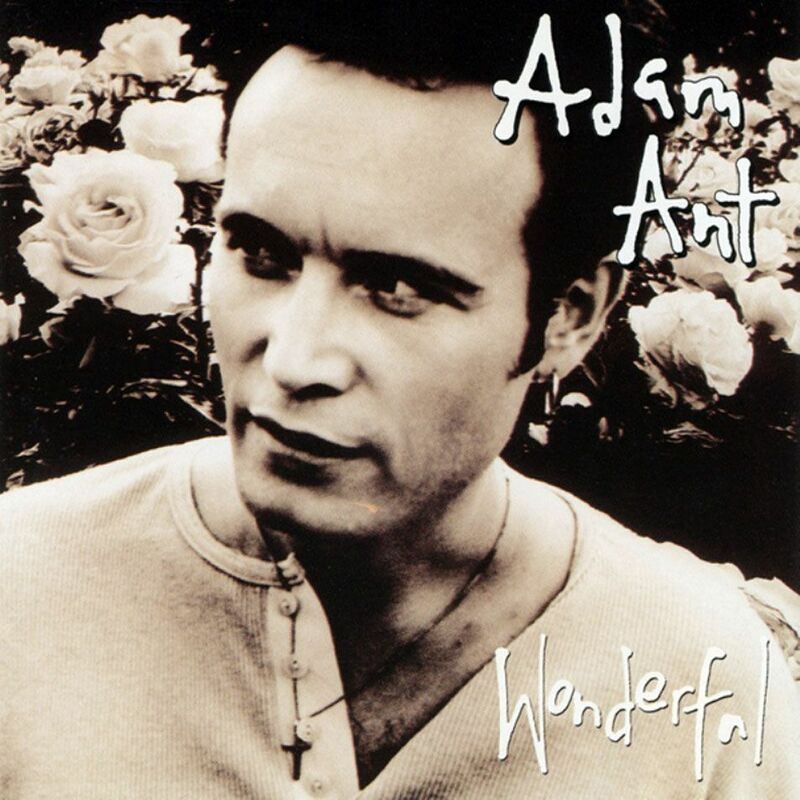 So 1995 brought the long awaited "second coming" of Adam Ant in the form of "Wonderful". It was half inspired and brilliant and half patchy. I managed to choose 6 tracks of the 11 on the album. 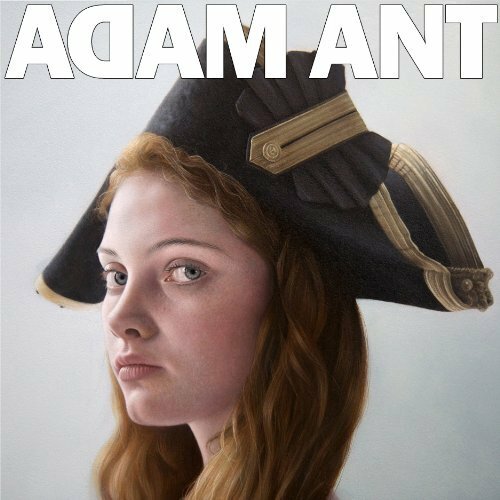 The title track is a tour de force, a wonderful (excuse the pun) Rock ballad, Adam's voice sounded great, mature and more accomplished than ever before. His best ballad (and he doesn't do ballads often) since "Can't Set Rules About Love". A monster of a track. 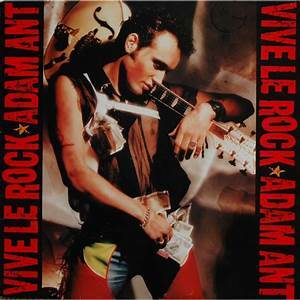 The awesome "Gotta Be A Sin" and "Vampires" takes you back to the "Vive Le Rock" album which shows Adam hasn't forgot his past. "Won't Take That Talk", "Image Of Yourself" and "Alien" are just great Pop Rock. Following the success of "Wonderful" there was a little mini album of B-sides and songs from the "Wonderful" sessions, "Goes Around" is a track I chose from that album. 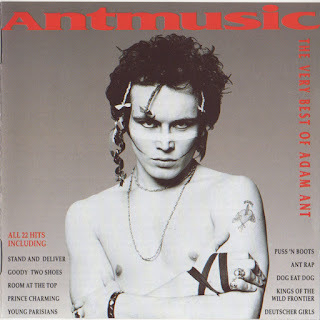 A proper Punk rocker Ant style. Before the albums were remastered 5 years later, in 2000 came the magnificent Antbox, a 3cd collection of demos, tracks and outtakes from the Ant archives. The classic "Y.M.C.A" parody "A.N.T.S" is simply brilliant and funny in equal measures. Originally given away with a Flexipop magazine in the 80s this is a treasured recording. 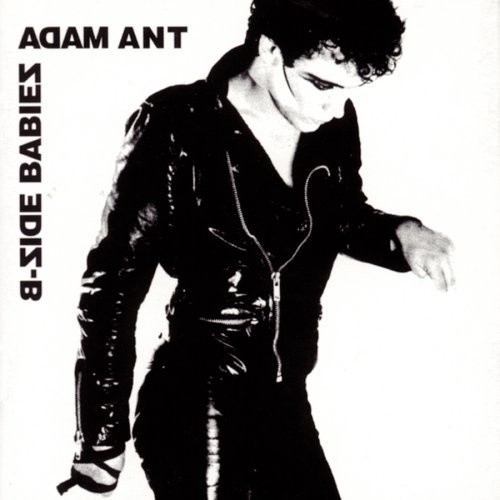 Two old Ant Punk classics are included in the playlist, "It Doesn't Matter" and "Whip In My Valise", the B-side to the "Zerox"single. The more recent "Saigon" and "Brand New Torso" are also here. I would have liked to have added "How To Steal The World" and "Bruce Lee", but like "Lady", I can't seem to find them on CD. If anyone is reading this and can tell me how to find these gems pleas elet me know! In 2013 Adam's third comeback came with the supposed sequel to "Kings Of The Wild Frontier". 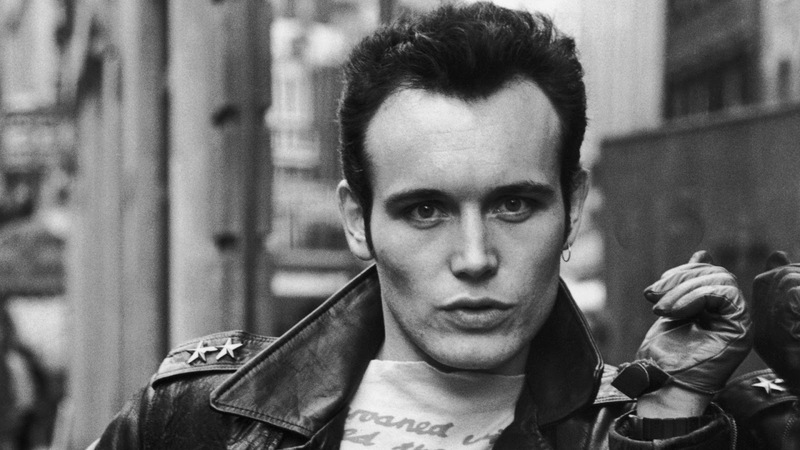 The album was "Adam Ant Is The Blueblack Hussar In Marrying The Gunner's Daughter". I have seen fans praising this album and some not really getting it. 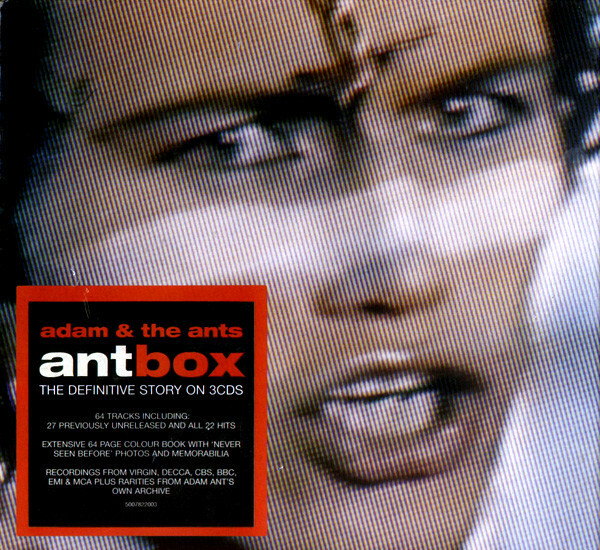 I am afraid I didn't get it, in my mind every Ant album had a different sound and a different look. To go back to another time and look is not the creative genius we know and love. It didn't work, some songs are just "ok" and some are just not up to the standard we expected. I chose the single "Cool Zombie" as I actually quite like it, this track works. I also chose "Vince Taylor" as it reminded a little of a hybrid between a "Wonderful" track and a "Vive Le Rock" track. "Lady" is available in a "medley" with "Catch A Falling Star" on "AntBox"
"How To Steal The World" is only available (as far as I know) on the 7"/CD Single of "Can't Set Rules About Love"